Sleigh Ride - Vintage 1930's duo-purpose combination muff and purse. 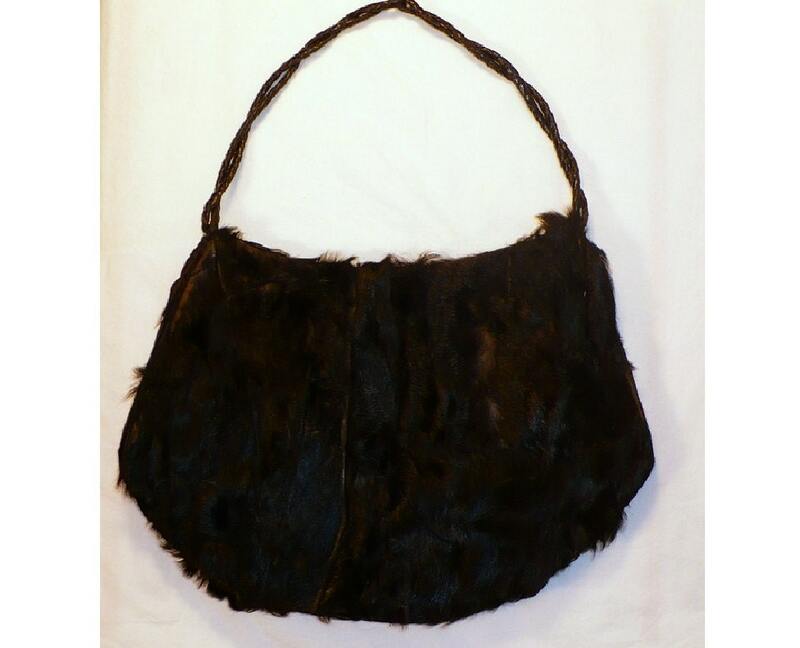 Black fur muff with heavy black satin lining has purse qualities as well. 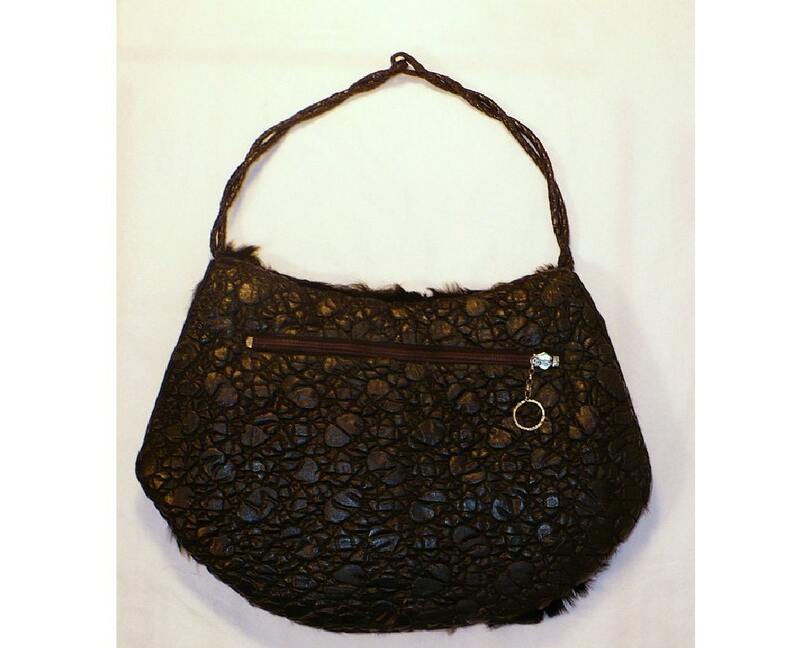 Braided round leather carrying straps with zippered pouch for carrying the essentials. 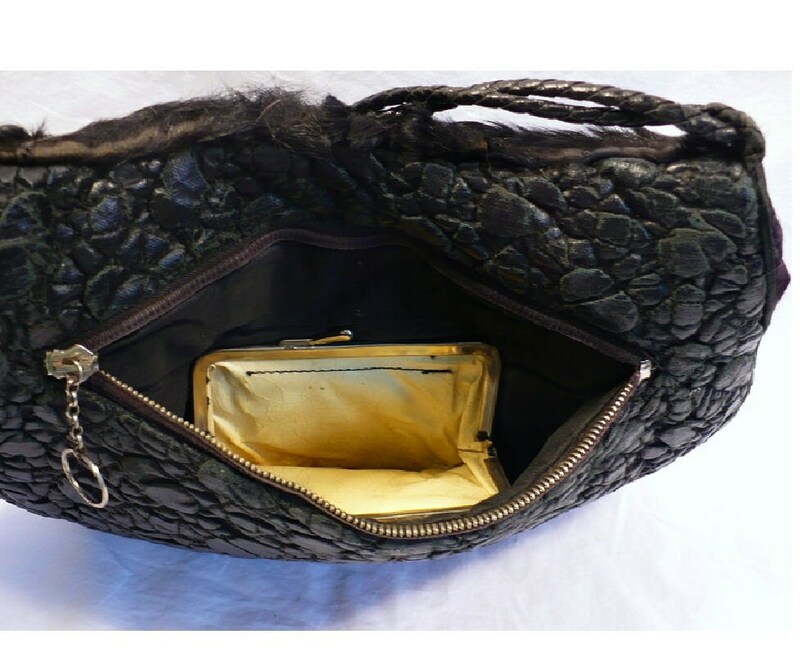 Inside the metal zipper pouch is a kiss clasp coin purse. Note some expected wear on back, straps, and some wear on fur (pony?) as well. No shedding, no splitting and fur remains pliable. 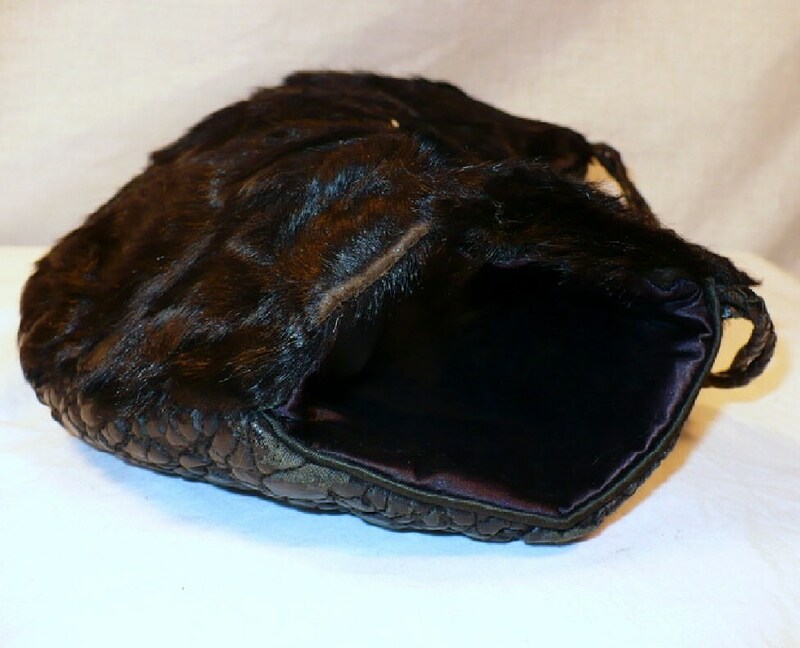 Feather down stuffed black muff carriage purse.